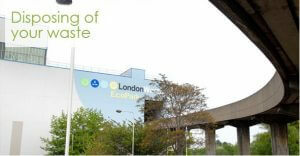 North London Waste Authority is the Latest Member of the Confederation. 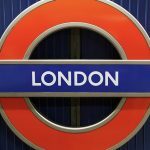 NLWA is responsible of waste management for the waste collected in seven London borough, amounting to approximately 850,000 tonnes a year. Complementary to re-use and recycling facilities, NLWA’s Edmonton Waste-to-Energy plant processes around 500,000 tonnes of residual waste yearly, producing enough electricity to supply 85,000 homes. “Waste-to-Energy is a fundamental part in fully integrated waste management systems, and we are happy to welcome a new member which demonstrates such a holistic approach where education, prevention, recycling and energy recovery work together. The North London Heat and Power Project shows that NLWA shares CEWEP’s goals: landfill diversion, energy and resource efficiency, and high environmental standards” says CEWEP President Ferdinand Kleppmann. CEWEP (Confederation of European Waste-to-Energy Plants) is the umbrella association of the operators of Waste-to-Energy plants across Europe. CEWEP’s members are committed to ensuring high environmental standards, achieving low emissions and maintaining state of the art energy production from remaining waste that cannot be recycled in a sustainable way.